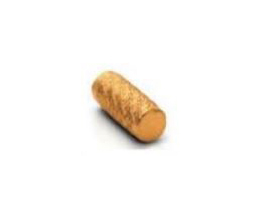 AEP Linac offers a wide range of Gold Fiducial Markers (with and without needles). By using gold markers you can visualize the position of the tumor compared to surrounding (healthy) organs. Nowadays, the use of Gold Markers has become a standard procedure for the external beam treatment of the prostate. Target the prostate with great accuracy. Adapt to day to day variation in position of the prostate. Reduce the damage to healthy tissue surrounding the prostate, smaller margins. This may help to reduce side effects (radiation delivered to healthy tissue), during treatment and in the long term. The Gold Markers supplied by AEP Linac are sterile, available with and without needle and clearly visible on both X-ray, kV and MV imaging equipment, CT, Conebeam-CT and ultrasound. Packaged sterile, available in different sizes and quantities. The Gold Markers are supplied in a Square Hub Gold Marker Kit (17G or 18G). 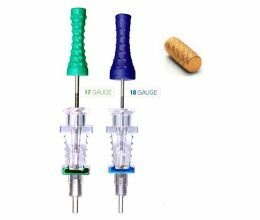 2 markers in 18G needle with 17, 20 or 25mm spacer between the markers.